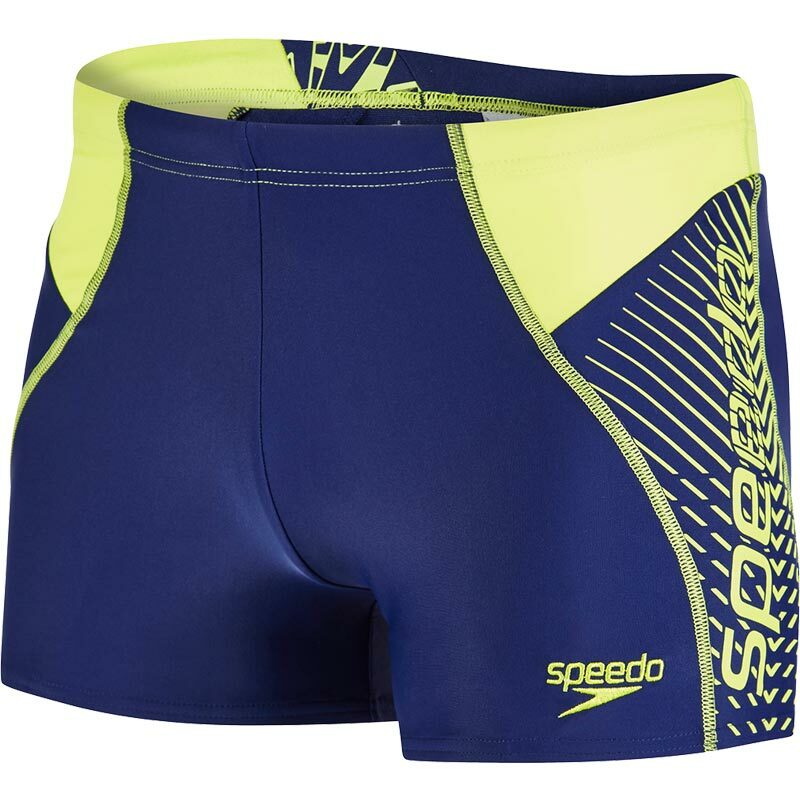 Super sporty looking, these sleek Speedo ® Logo Panel Aquashorts are ideal for regular swim sessions. Made from our Endurance® 10 fabric, they offer fantastic freedom of movement whilst the drawstring waist offers a secure fit. Focus on your swimming thanks to the perfect balance of non-restrictive, secure swimwear that lasts much longer than many other swimwear fabrics. Quick-drying and designed to retain their shape swim after swim, these two-tone aquashorts are the perfect partner for your regular trips to the pool. Comfortable fit –fabric stretches so you can enjoy your swim without feeling restricted.